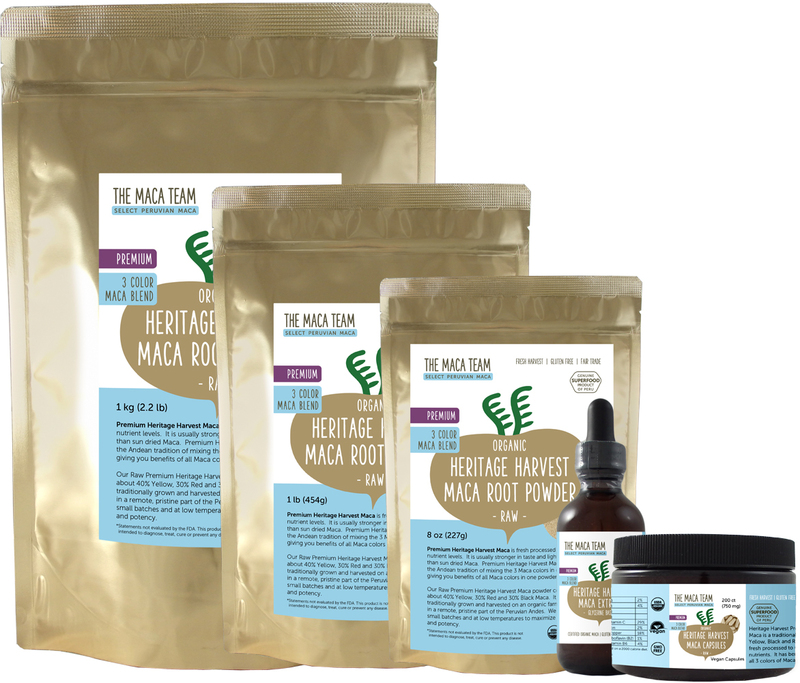 Our Premium Raw Maca Root products are made from Maca roots that are dried in low temperature dehydrators immediately after harvest. This modern approach to processing Maca was developed to help standardize many nutrient levels and maximize glucosinolate content (nutrients that may be associated with anti-cancer properties). 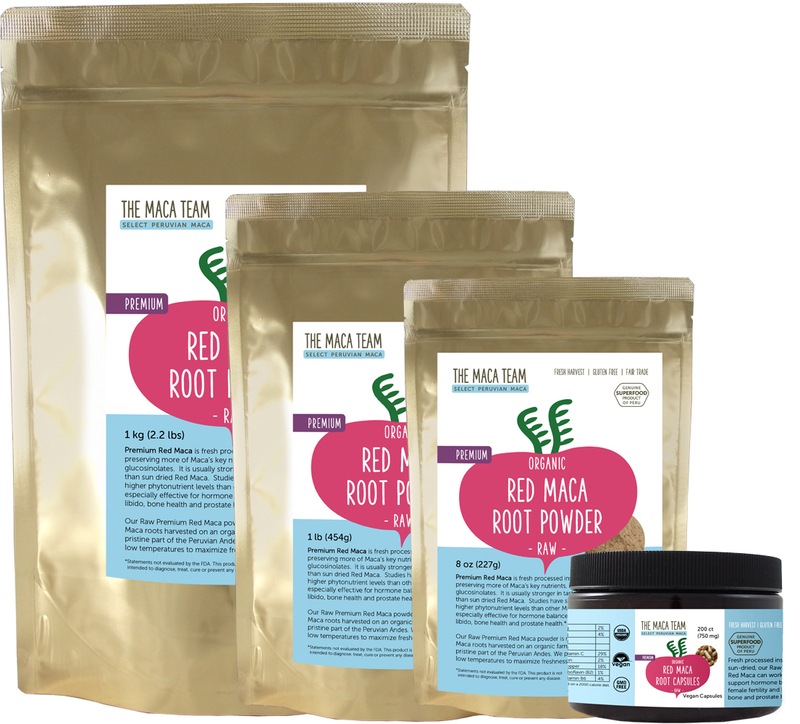 Raw Premium Maca powders have a stronger and spicier flavor. They also cost more because of increased labor and equipment costs to produce them. Read more on the difference between Sundried and Premium Maca products here. 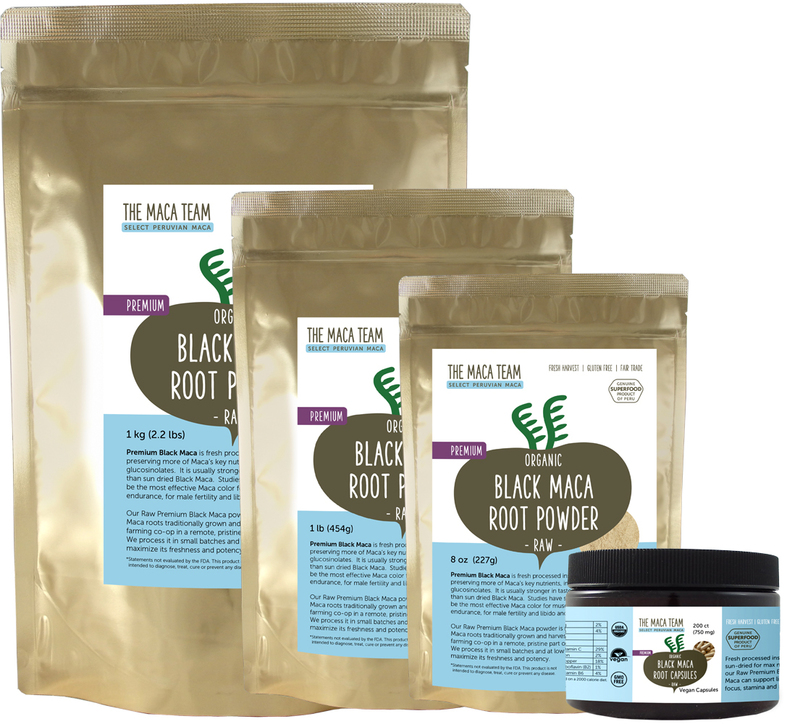 All of our Raw Maca Root products are never heated above 105F / 40C. This is important because research has shown that enzymes and other vital nutrients begin to break down at temperatures above 118F / 48C. We recommend Raw Maca for anyone with average to strong digestion. For those with more sensitive stomachs we recommend Gelatinized Maca instead. You can find out which Maca we recommend for you on our Maca Comparison page.